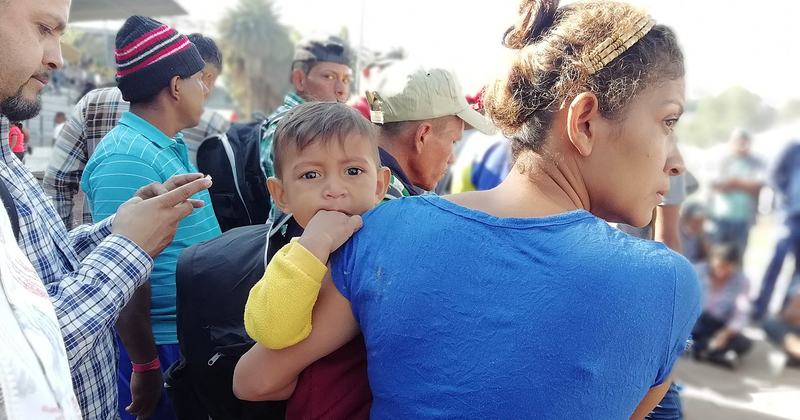 Thousands of migrants are travelling in a caravan, making their way from Honduras to the United States. CUPE expresses our solidarity with these migrants, who have left their homes in search of a better life for themselves and their families. We acknowledge the injustices that force these migrants to leave their homes, including growing inequality, poverty, unemployment, corruption and foreign intervention. In recent years, Honduras has been reeling from the impact of a right-wing government that took power in a coup and imposed austerity and privatization. The Canadian government helped create the conditions forcing these migrants to flee to the United States, and has a responsibility to ensure their safety and security. Instead of condemning ongoing repression and human rights violations, the Canadian government has supported a series of right-wing governments, putting the interests of Canadian mining companies ahead of the people of Honduras. Everyone has a right to dignity and respect at work and in all aspects of their lives. Around the world, a staggering 250 million migrants have left their homes in search of safety, security and a life where basic human and labour rights are respected. These growing numbers reflect the failure of our economic and development models to protect and promote peoples’ needs. We reject racist fearmongering and the suggestion that migrants are dangerous or ill-intentioned in their pursuit of a new life. In this global struggle we must all work together to strengthen our collective power. Let’s stand together, and pledge to have each other’s backs.